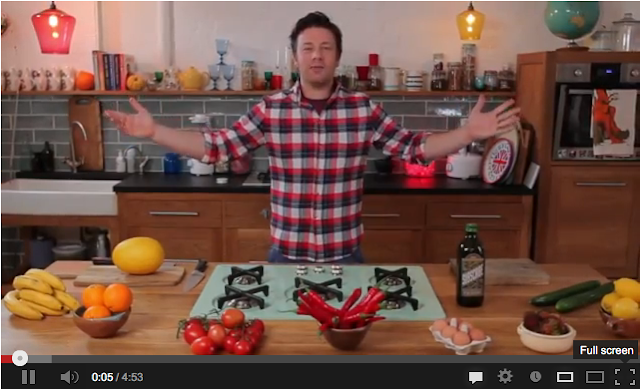 Want to punch Jamie Oliver? Genrally, I really don't want to punch Jamie Oliver (he is my second favourite man in the world after all), but I've just been playing with this video he's made to introduce his new youtube channel Food Tube. The channel itself looks like it will be good fun, but I haven't really explored properly yet - this video is too much fun. It won't let me put it here, so, you'll have to go to youtube to watch it. I was pretty amazed by an interactive video to be honest - obviously I'm incredibly behind the times! I love Jamie Oliver! Looks like fun! Hello! I'd prefer Nigel Slater but anyway - nice blog. I'm only in my 30s but I'm convinced Jamie appeals to a younger audience. My 6 month old loves him - must be all the jumping about and hand-waving.